Welcome to the SIIOS project – The Seismometer to Investigate Ice and Ocean Structure. We are developing seismometers for missions to the icy bodies of the outer solar system. These instruments will give us a sneak peek into the interiors of other worlds! On this website you can follow the SIIOS team as we deploy our instruments at ‘planetary analog sites’ – places on Earth that resemble the conditions on other planetary bodies! Keep up to date with our adventures on Facebook, Twitter and our News page! What is The SIIOS Project? The Seismometer to Investigate Ice and Ocean Structure (SIIOS) is a cold-tolerant radiation-hardened seismometer that is designed to use Earthquakes (moonquakes, Europa-quakes, etc.) to ‘see’ into the insides of different planets and moons. SIIOS is actually more than just one seismometer – it is an array of seismometers, arranged in a way they might be on a landed space mission to another world. Many icy bodies in the outer solar system are thought to have subsurface oceans. This provides an important ingredient for life as we know it: Water. The subsurface oceans of Jupiter’s icy moon Europa and Saturn’s icy moon Enceladus are thought to be in contact with mineral-rich interiors, making them important places in the search for habitable environments. Whether life could form in these oceans, and whether we could access them, depends on the thickness of their ice crusts. As a result, their crustal thickness and structure is one of the most important and controversial topics in astrobiology. In a future lander-based spacecraft mission, seismic measurements will be a key geophysical tool for obtaining this critical knowledge. 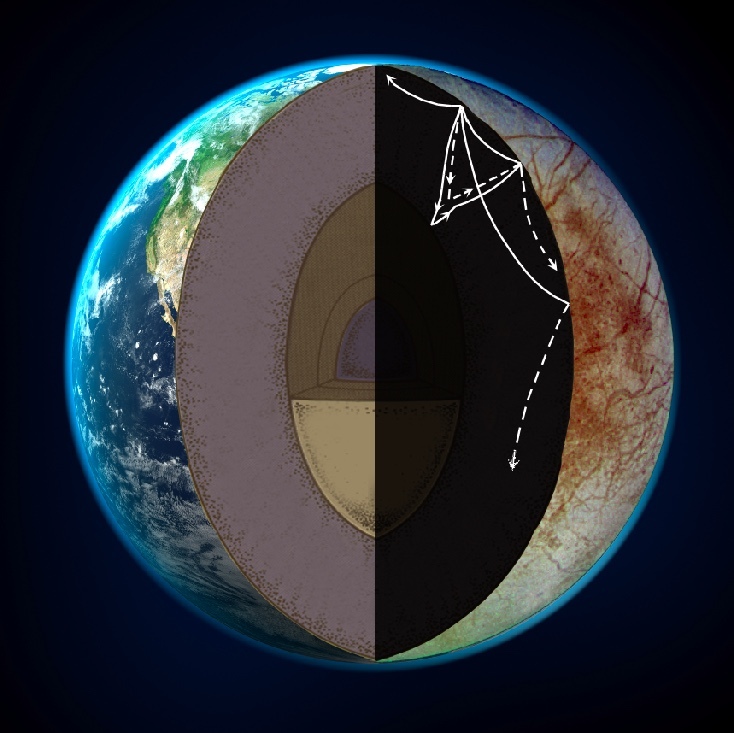 We are working to help make seismic investigation of icy worlds a reality.